Look at that back!!! Lat spread anybody??? 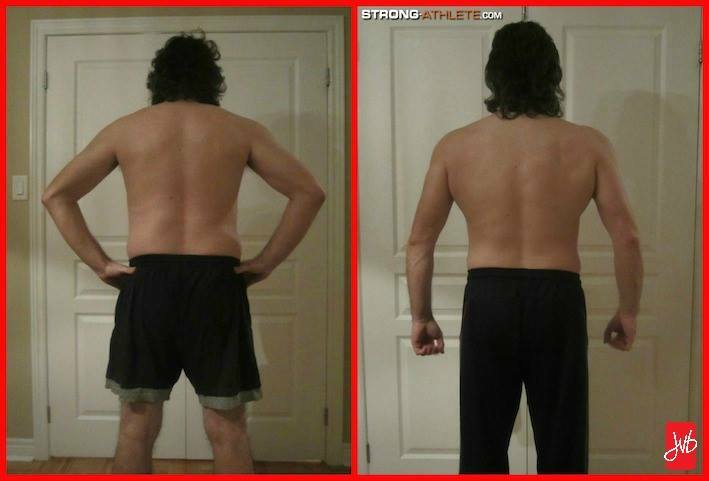 After only 7 short weeks, my client TEAM STRONG ATHLETE Dave P. is making profound changes in his physique! As the busy CEO of www.udreplicas.com (and STRONG DAD of 2), Dave has spent the last few years building up an incredibly successful business. As such, he lost focus on his fitness levels and following a nutritional structure. Determined to make a change and find balance with his busy life, he came to me to strategize a game plan that worked specifically for him. I’m so proud of his progress because we are down 14 lbs (and going) and, most importantly, he is tightening up and activating muscle growth at a rapid rate (from being detrained). I can’t wait to show off more of Dave’s progress as the weeks go on. What an incredible transformation!!! I’m forecasting some pretty amazing “after” pictures coming soon.